The Burton Feelgood Flying V is a fun board for soft conditions and powder but it’s missing a few key elements when riding on harder snow. It would be fun to own both the Feelgood Flying V and the Camber Feelgood. 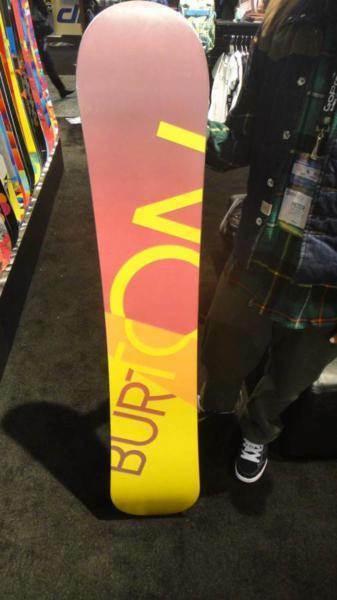 Our initial impression was that the board is not very stiff and doesn’t seem as stiff as the Burton Feelgood. So after realizing this is almost a different board entirely we changed our mindset and gave it a few days on the hill. When it comes to making a good carving turn and holding at speed the Feelgood V-Rocker is far less than the Feelgood Camber. 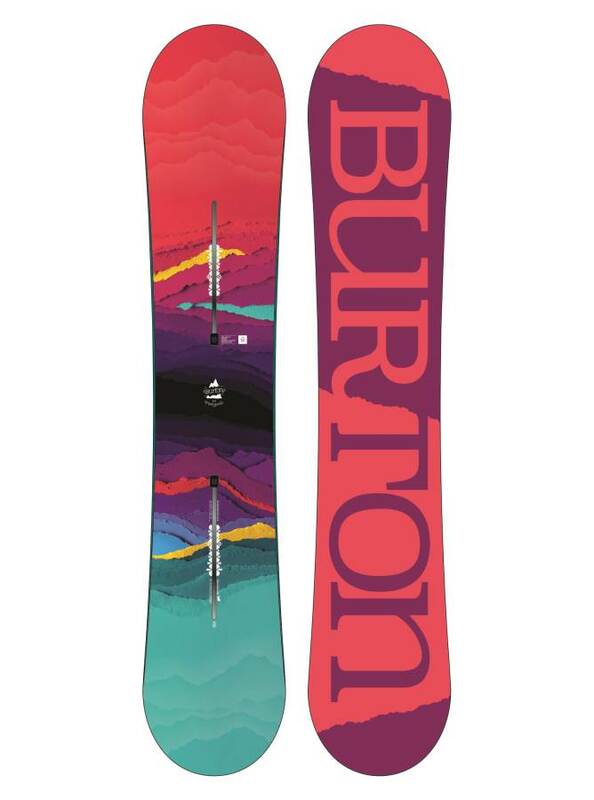 Burton’s hybrid rocker design has an extra bend on each side compared to other hybrid rocker boards and that makes for the nose and tail to be a bit more chattery. The edge hold is lacking and it makes this tough to ride unless you are riding in good conditions. 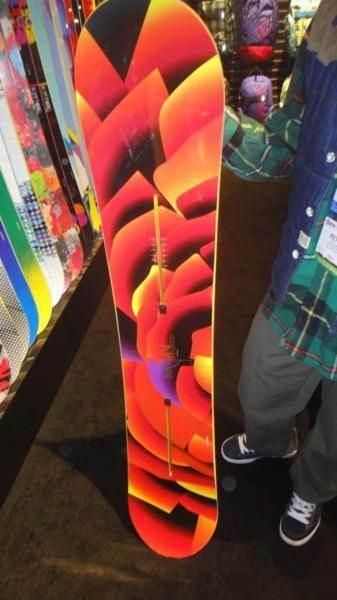 However, The Feelgood V-Rocker snowboard does much better in the park, is more jib friendly and performs much better in the powder. It takes a lot of work out of the ride. The 2012 model is very close to the 2011 in terms of ride but it has just a little more spring/pop than before and an improved women’s specific core. The 2013 is pretty close to the 2012 with the exception of some additional carbon strips to make for a little more lively and create a slightly less chattery ride. Here is how most boards do a hybrid rocker. 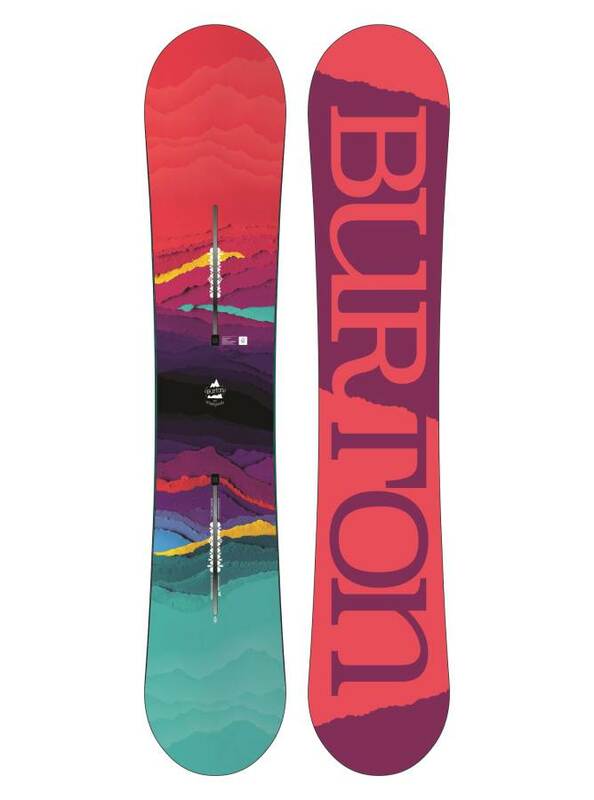 The advantages of Burton hybrid rocker is a better float and an easier loose feel. The disadvantages are less edge hold and less return from a carve. Our initial impression was that the Feelgoods Flying V-Rocker’s medium flex did not translate to the slopes like the camber version did. Most expert riders will have fun in most places in the park but get a bit frustrated if you want to hit higher speeds when riding the mountain. We like that there is still a choice between a camber feelgood and a hybrid rocker feelgood. We hope it stays that way because each board has strengths over the other. On Snow Feel: It has a very semi-stable feel that can be loose on harder snow but pretty stable in softer. It’s a great board for when the snow is soft. It has a very fun all mountain freestyle kind of feel when centered and it has a setback and great directional float in powder. You just want to look for things to ollie off and butter/press around the mountain. Turn Initiation and Carving– The Feelgood’s hybrid rocker and soft shape make it incredibly easy to turn. That is what makes this such a great intermediate board. It also makes it easier to do anything you are trying on the mountain. If you want playful quick turns this will be the choice. It’s not bad laying out a mellow carve and picking up moderate speed but if you like to make aggressive carves and bombing the Burton Feelgood camber is going to be a far better choice. The tail holds better than a pure rocker board but it still doesn’t compare to some of the other hybrid boards out there. You can feel it start to give out when you make a really aggressive carve where some hybrid rocker boards we tried didn’t do this. Powder: This is one of the areas that the Feelgood rocker performs better than the Feelgood camber and many hybrid rocker boards. The V-Rocker’s extra kink up in the board gives this board a lot of floats and allows you to take more of a park approach to a fluffy day. It also reduces rear leg burn and makes it fun to ride in almost any powder set up. Its quick turn initiation can handle a tight tree run and can bomb a hill without any sketchy feeling that you would have on a hard pack day. It would be ideal for riders with a little more cash in their pocket to have the Feelgood and the Feelgood Flying V-Rocker for different riding moods. The Feelgood V-Rocker would definitely be for powder and it’s one of the better qualities. It borderlines on excellent. Edge Hold: In soft to even medium snow the edge hold is fine but when it gets hard the personality and edge hold change for the worse. It slid across the snowment like it didn’t have edges where other boards we rode that day held an edge without a problem. We’d love to see a little something extra in the sidecut. We don’t need Magnetraction but we just want a little more than what’s going on now so it can hang in hard snow. Speed: In good conditions, this isn’t too bad but in hard conditions, the board’s tip and tail bounce around when going at medium to high speeds. It’s a common problem with some rockered boards but for some reason, it’s really a problem with the Feelgood Flying V-Rocker. The center of the board that has the most contact with the snow is pretty stiff but the tip and tail bounce so much the chatter feels like it works through the entire board. You can also hear it hitting the hard snow and it makes a unique sound similar to a bike with a card in the spokes. After a while, you get used to it but this is not ideal when riding at high speeds and can be a bit rough. It tends to wander from edge side to edge in a squirrely type of manner. 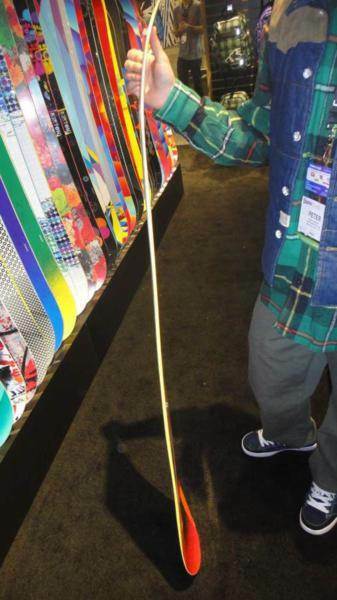 This is nothing new to rocker/camber boards and one of the most common problems with any rocker or rocker camber board. So in good conditions, we would call the speed good but in hard conditions it’s average. Uneven Terrain: So it’s not the best at speed but when you slow down and deal with the bumpy end of the day tracked up snow it’s no problem. It moves over bumps like water and passes very little shock back to your body. Flex: It might have the same stiffness as the camber Feelgood but for some reason when riding the Flying V-Rocker it doesn’t seem as stiff. It’s on the softer side of medium and feels pretty flexy playful. Switch: This is a twinish shape but because of the v-rocker the board does a great job riding switch because the nose and tail aren’t really initiating the turns like a camber board would. It feels almost like a twin if you have a centered stance. Jibbing: It is not bad for a mid flexing board. It’s loose with a lot of rocker so it can butter from the top to the bottom of the mountain. 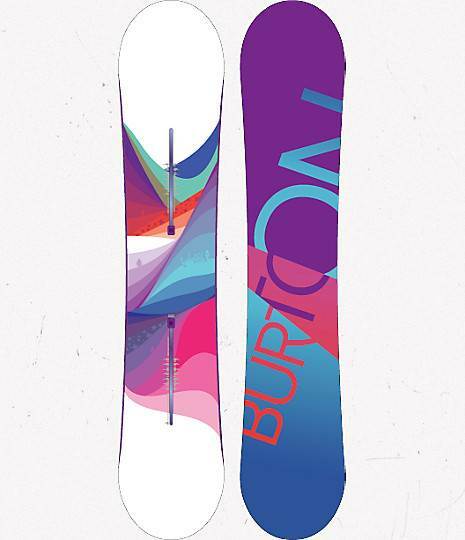 It’s still not as good as many of the softer burton boards but it’s one of the better all-mountain boards for jibbing. Pipe: The Feelgood Flying V-Rocker isn’t the best pipe board. The lack of edge hold won’t be great climbing an icy pipe wall but it will be fun for soft spring sessions and it’s forgiving enough to help you learn the pipe or try new things. We’d use something else if you are all about the pipe. Jumps: The mini camber near the tail in this rocker/camber combination helps keep the board pretty springy and playful. We weren’t in the mood to go big but it did pretty well on the jumps we hit. Even though this board isn’t a twin it felt a lot like one with a centered stance hitting jumps. You can have a lot of Ollie power at slow to moderate speeds. 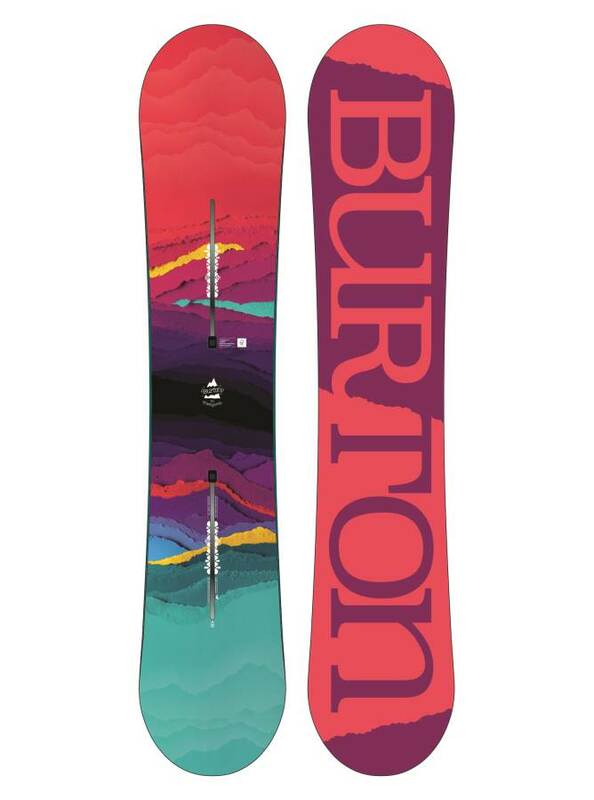 We try to get as many images of the Burton Feelgood Flying V, but forgive us if they're not all there.